Get Your CPR Certification in 3-4 Hours! CPR Choice is an AHA training site. For individuals, we offer CPR Classes and Certification at our locations in and around Fort Collins, Denver, and Colorado Springs. We have more classes in more places to better serve you! For on-site CPR training, we can come to your location and train your staff in Fort Collins, Colorado Springs, or Denver area. 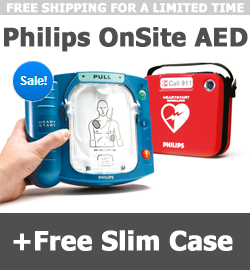 We have experienced staff and state of the art equipment to conduct stellar CPR classes. We offer American Heart Association certification including Basic Life Support (BLS) for Healthcare Providers, Heartsaver CPR & AED, and First Aid. Please check our CPR training calendar for class times or contact us for more info. Flexible Scheduling – Fort Collins CPR Classes are now listed on our CPR Calendar. Industry Standard – AHA BLS and Heartsaver classes! On-site CPR available – Contact CPR Choice for more info. We hope to provide a peak CPR training experience that exceeds your expectations! And when you see the beautiful Rocky Mountain peaks rising high above the beautiful Fort Collins, Denver & Colorado Springs areas, we hope you’ll be reminded of PeakCPR.com. Learn CPR, Save Lives with CPR Choice. We provide CPR training to individuals, groups, and businesses in Colorado. Individuals may register on our Colorado CPR Training Calendar. Groups and businesses looking Colorado Springs CPR or Denver CPR training may contact us for On-Site CPR classes. Denver and Colorado Springs, Colorado Area - Learn CPR, Save LIves! CPR Choice provides CPR and First Aid Classes taught professionally at our site or yours! Our easy to find CPR training locations are located in Colorado Springs, Fort Collins, and Denver. Whether you need CPR for healthcare, occupational, college requirements, or just want to be prepared to save a life with understanding of the important skill of CPR, we’ve got you covered. Check our calendar for available Colorado Springs, Fort Collins, and Denver CPR Classes and get certified or re-certified today. Peak CPR Training for Denver, Fort Collins, and the Springs Area! More CPR Classes in More Places! Meets Occupational or College Requirements. AHA Card Received at Class. Now Providing Denver CPR Training! Get AHA CPR Certified Within 3-4 Hours. “CPR Choice is fantastic! Thank you! My 12 year old Boy Scout is so very excited to be certified!” – Donna W.
“If anyone is needing it, CPR Choice offers quality CPR at a low price. They offer Basic life saving, health care provider/child and infant and AED. The instructor was great!” – Scottie P.
“I highly recommend CPR Choice for healthcare provider certification! It was easy to schedule, fun, and informative. This was by far my best experience taking a CPR class.” – Teresa C.
Why Choose Us? | More Testimonials. Register for CPR Training Today!